An Intention Letter was signed between the Royal Netherlands Air Force’s Logistics Centre Woensdrecht (LCW) and the company Airborne Services BV for the shared usage of LCW’s facilities. 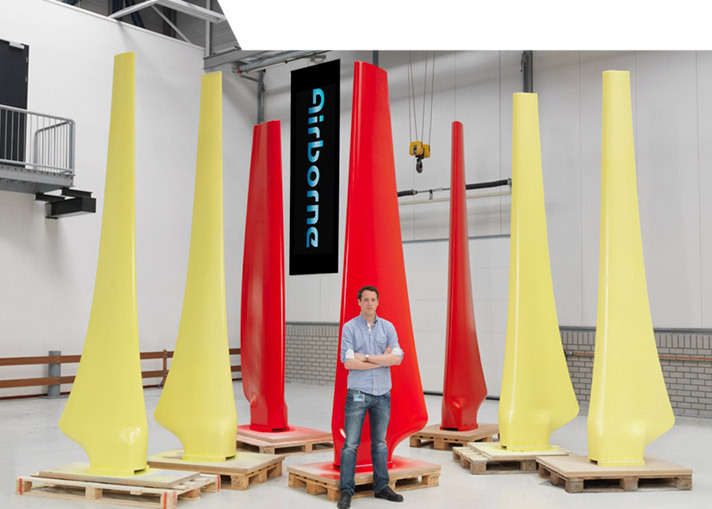 Airborne provides advanced composite solutions for industrial market leaders in the Oil & Gas, Aerospace and Marine industry. Airborne Aerospace (AA) is dedicated to the design and manufacturing of composite aerospace structures. Composites are rapidly becoming the standard material of choice, because of its superior light weight performance which is essential to reduce fuel consumption, either for aircraft or launches into space. The signing took place during the Future Aircraft Maintenance III event at Aviolanda Woensdrecht.During the NIDV symposium (Netherlands Industry for Defence and Security) in Rotterdam on 20th November 2014 Airborne signed a maintenance agreement with NHIndustries and Airbus Helicopters for NH90 rotor blades. In order to perform these activities in controlled surroundings Airborne has put in a request for shared usage with the Commander of LCW. By using existing equipment, Airborne intends to take on international contracts using its own rotor blade repair specialists. The LCW, the “Main Support Base” of the Royal Netherlands Air Force has already been cooperating for some time with industry. Air Commodore Schevenhoven: “Joint usage of our facilities by specialized companies complies with our aim to increase the operational availability of helicopters and to lower the costs”. The cooperation with Air Force will allow their maintenance activities to grow further. Apart from Airbus, Airborne is in contact with other OEM. Obtaining this kind of assignment requires close cooperation between industry and government. The agreement with Airbus Helicopters came about as a result of good support from NIDV, the Netherlands Embassy in Paris and others. “This is a perfect example of how business and the Air Force can together win international contracts”, according to Ron Nulkes – NIDV Director. Increasing maintenance activity at the airbase and adjacent business location Aviolanda will in future maintain and increase employment in the region of West Brabant. Source : Airborne Services B.V.